The Babyscripts app allows caregivers to send patients weekly information that's specifically tailored to their “gestational age” and situation. 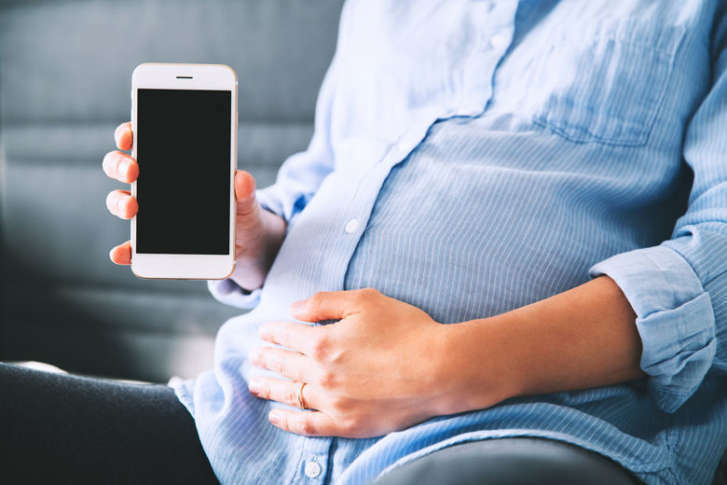 WASHINGTON — The old expression about being forewarned is forearmed is playing out in a modern way, with a new smartphone app being used by midwives and expectant moms. The Babyscripts app allows caregivers to send patients weekly information that’s specifically tailored to their “gestational age” and situation. It can help them day-to-day and lead to more constructive conversations when it’s time for a checkup. “We both have a common framework and they’ve had some time to think about the information and the questions they’d like to ask us,” Patchen said. At weeks six through eight, for example, expectant moms might learn about nausea and vomiting, different comfort measures for that or signs of discomfort that require a call to the doctor’s office. A patient also might learn about and decide how she feels about a particular genetic test before discussing it with a caregiver. The app also has a feature that allows for home monitoring of weight and blood pressure. “Then, if your blood pressure is in a range where it could be potentially problematic — we set certain thresholds — it automatically notifies us, so we can follow up with the patient in real time,” Patchen said. Locally, the Babyscripts app is being used at MedStar Washington Hospital Center and George Washington Medical Faculty Associates. Around the country, the app is in use at health systems such as Northwestern Medicine in Chicago, Florida Hospital in Orlando, UT Physicians in Houston and Carolinas Healthcare in North and South Carolina.